Switzerland: where every vista is postcard perfection. 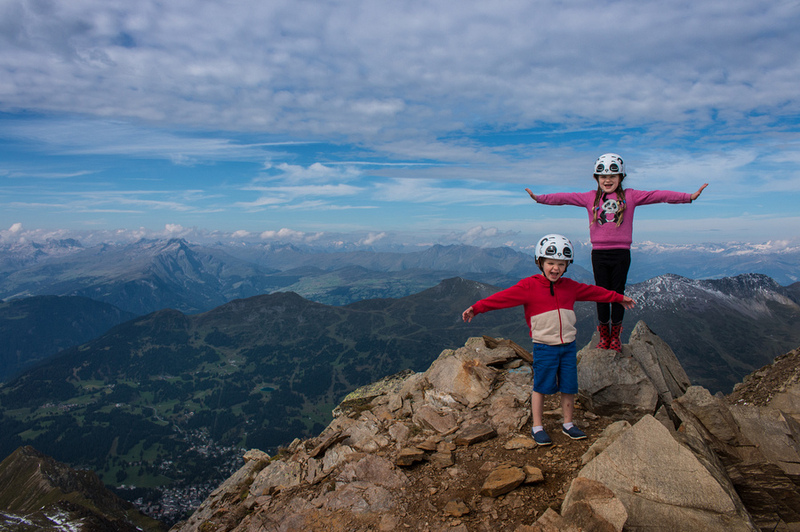 We had sky-high expectations for Switzerland, which were not only met, but also exceeded. And exceeded by a country mile. Don’t you love when that happens? Lenzerheide is a small village in between Chur and Davos in the eastern side of Switzerland. It is a mountain resort in the canton of Graubünden at the foot of the Parpaner Rothorn (also just called Rothorn by the locals). 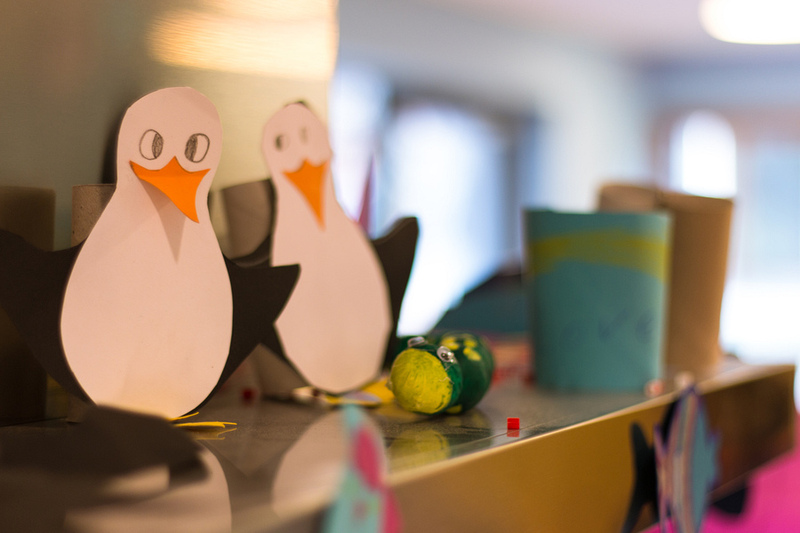 It may not be one of the well-known cities like Geneva or Zurich, but it certainly delivered the perfect family-friendly holiday experience. 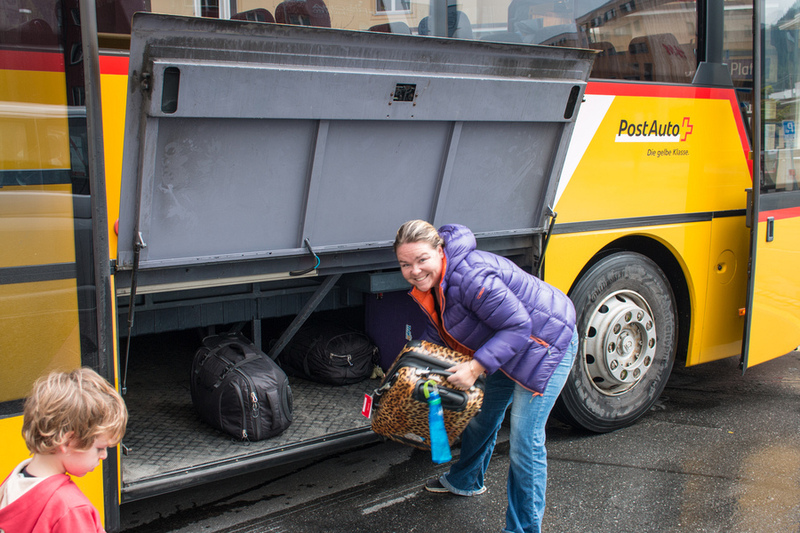 Lenzerheide was an easy 30-minute bus ride from Chur train station via the 182 public bus (called a “PostBus” or “Autopost” – not to be confused with postal mail). 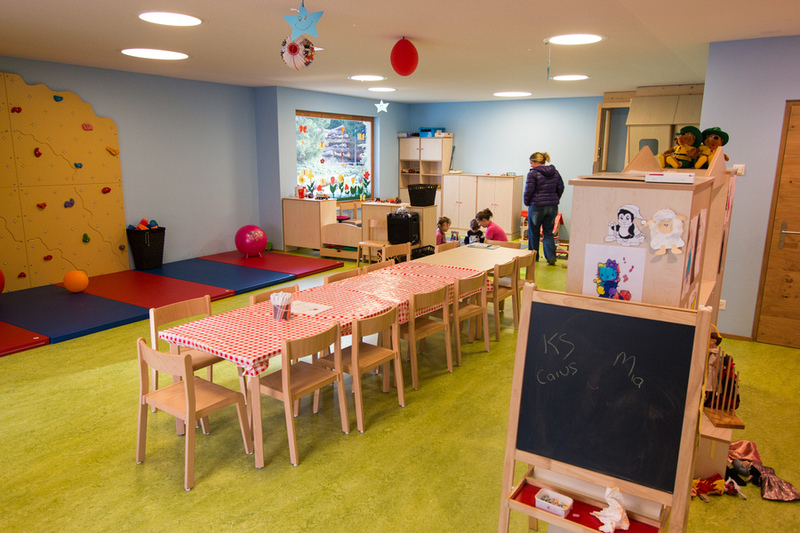 This cost about €21 for 2 adults (with children under 6 free). Most visitors to the village opt to drive in, but we were fine getting around without a car. 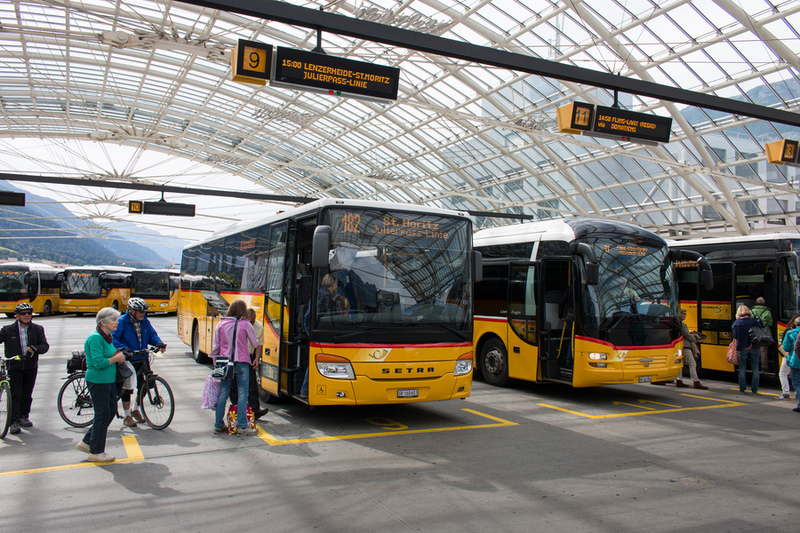 If arriving from the east, you can also reach Lenzerheide from Davos on the 183 bus which takes about an hour. The journey is described in more detail in our Ultimate Europe Train Trip (up soon). The village offers a year-round free bus service running every half an hour with stops throughout the village, which included a very convenient stop opposite our hotel. 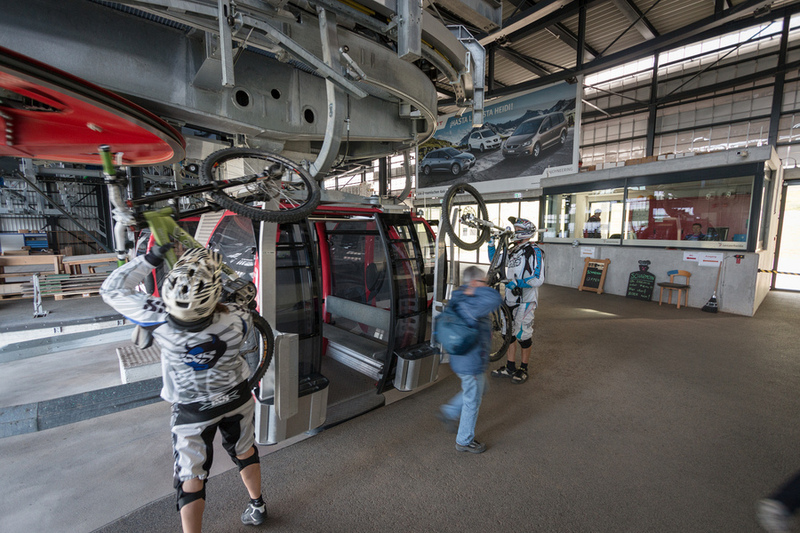 In addition, there were stops at the bottom of the Rothhorn gondola ride and also in the city centre. A round trip took about 20 minutes. This bus is known as the “SportsAuto” (nothing to do with sports – I think you’re catching on by now). Cable cars are a normal a part of life in Switzerland and almost as ubiquitous as the bus system. They operate frequently and can get you to the top of quite a number of mountains. 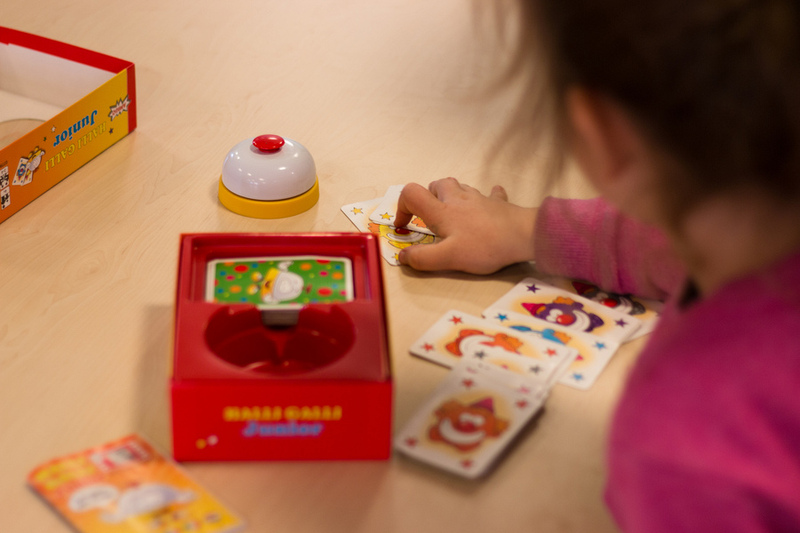 Try to exercise your memory and remember the difference between cable cars, gondolas, funiculars and chair lifts. By the time we left Switzerland we were experts. 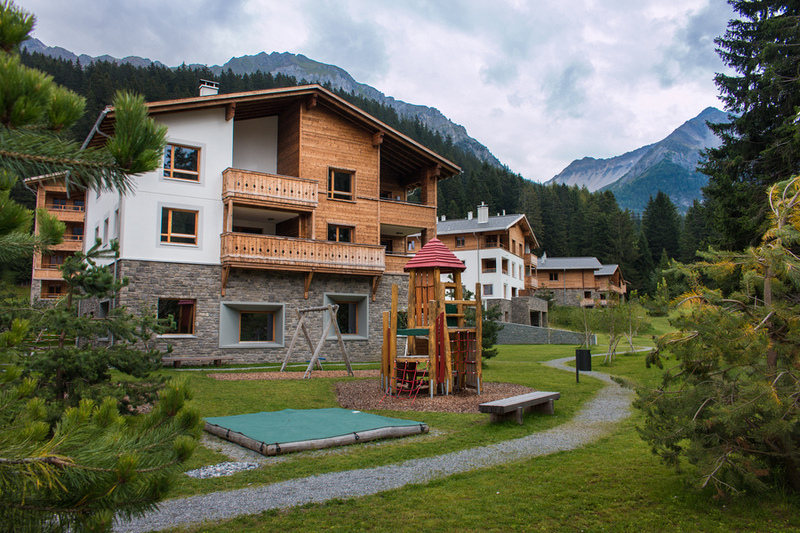 Brand new on the scene in Lenzerheide was the Hotel Priva Alpine Lodge. 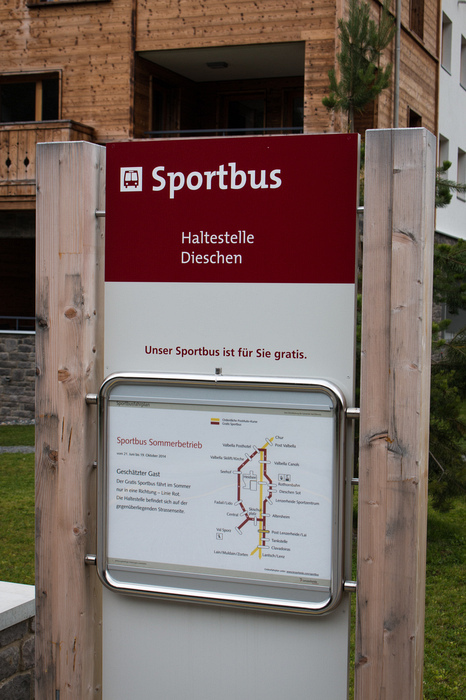 About a 5-minute (upwhill) walk from the Rothorn bus stop, or you will find the free SportsAuto bus which has a stop directly opposite the hotel. There was free Internet available at the tourist centre at the bottom of Rothorn. I didn’t find any public networks in town. But all hotels are connected and quite zippy. This is an outdoor lovers paradise. Biking, hiking, swimming in lakes, snowball fights, tobogganing and more. 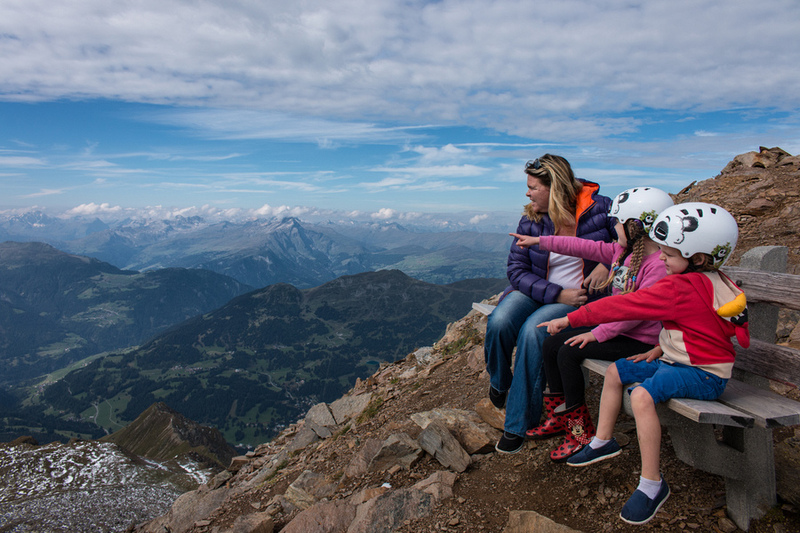 From the sublimely scenic views at the top of the Rothorn to tobogganing down Europe’s longest track (3.1km) at Pradaschier in Churwalden, you won’t run out of things to do in the summer. 3.1km down a Swiss Alp - yes please! In the winter, of course, you will find plenty of skiing and snow sports. 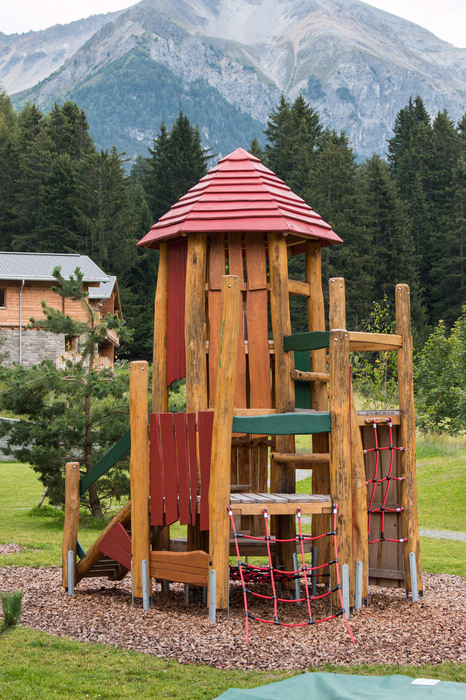 Most of the resorts offer kids clubs so you are also free to leave the kids in safe hands where they can have all sorts of fun while you enjoy a little adult time (by that, I mean eating Lindt chocolate). 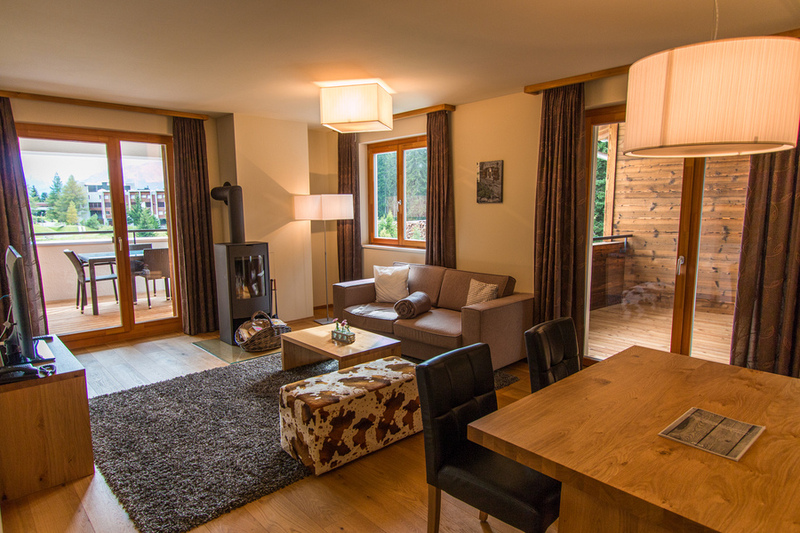 Located nearby are several other larger towns that you could visit on day trips or just kick back, relax and unwind in front of the wood fire in your apartment admiring those picturesque mountains. 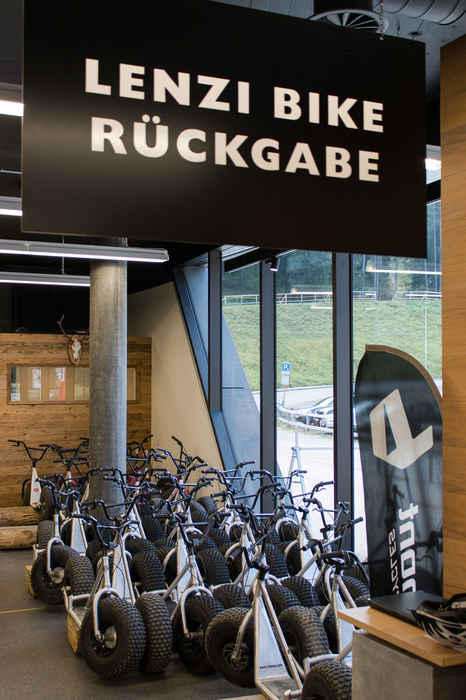 Mountain biking has really taken off in Lenzerheide and there are a growing number of twisting tracks, jumps and skill courses around the area. Our favourite was the monster scooters that we took from half base on Rothorn (called Scharmoin) all the way to the bottom. A downhill run got our hearts pumping and eyes popping from the natural beauty (and the hairpin turns). 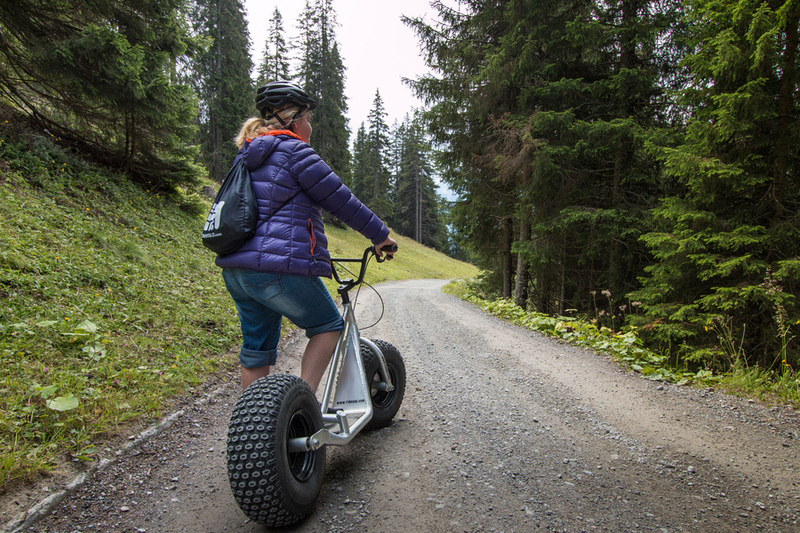 These scooters, called Lenzi Bikes, were available for hire from the sports store, Pesko, at the bottom of the Rothorn cable car. The two delicacies the Swiss do best – cheese and chocolate – are also the cheapest. A Lindt block of chocolate will set you back about US$1. We ate the majority of our meals at the resort (breakfast and dinner), which seems to be a normal holiday package in the mountains known as half-board. For lunch we simply snacked on crackers and cheese from the local supermarket, Coco. 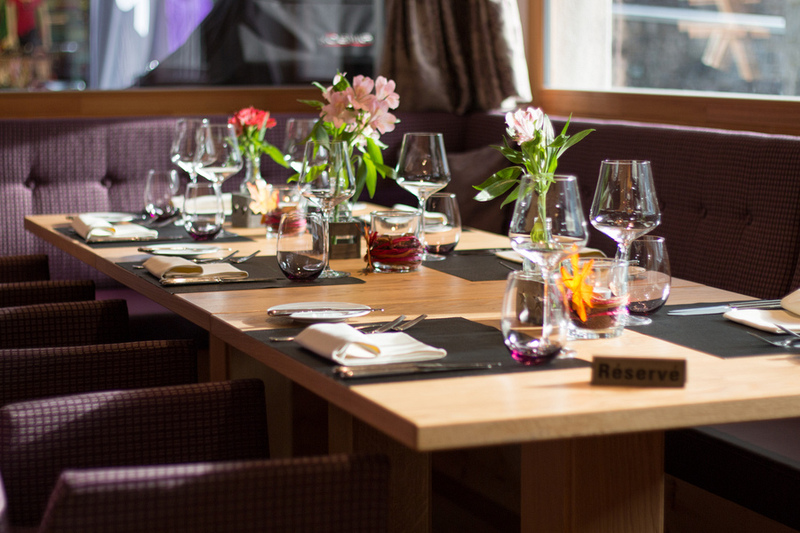 There are a few restaurants in the centre of Lenzerheide, but most holidaymakers tend to hang around their resorts. Be warned, if you get super hungry on top of the mountain and spot a café, it could set you back a pretty penny. We found on top of Rothorn a ham and cheese croissant cost around €15. So plan ahead and pack some food in your bag before heading out the door. You’ll be able to save money on bottled water here since the tap water, straight from the melting snow-capped mountains, tastes better than most bottled varieties. The official language is German, however we did not have any problems speaking in English to shopkeepers, hotels, or bus drivers. There’s no way around it - Switzerland is not a cheap destination. So why should you choose this location as your next family holiday? Well, this is a more than just purely a nature holiday. Sure, if you’re want to get away from the hustle and bustle and enjoy exploring the great outdoors, then this is an ideal place to do just that. Soak up the sun, lap up the lakes, serenade in the snow, and get deeply immersed in the fresh mountain air. 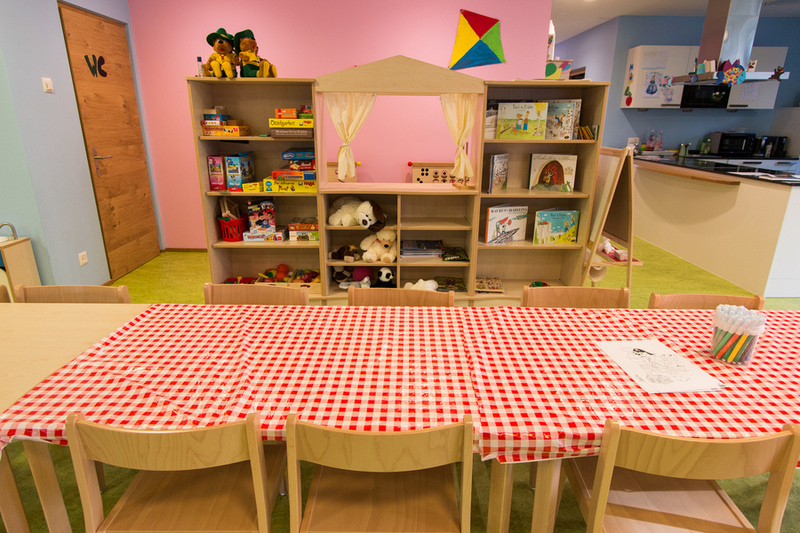 There is something for everyone in the family, and kids clubs are guaranteed to make a relaxing holiday for adults and children alike. 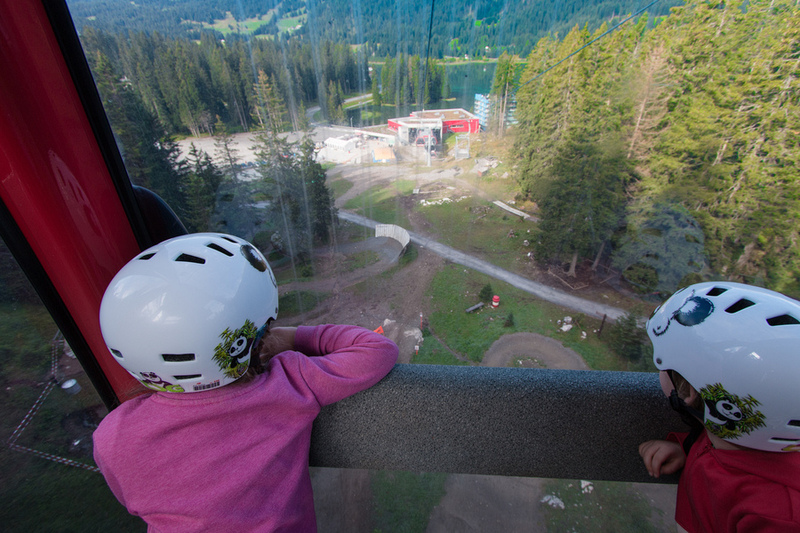 Families will love the monster scooters, cable cars, mountain hikes, and toboggans. 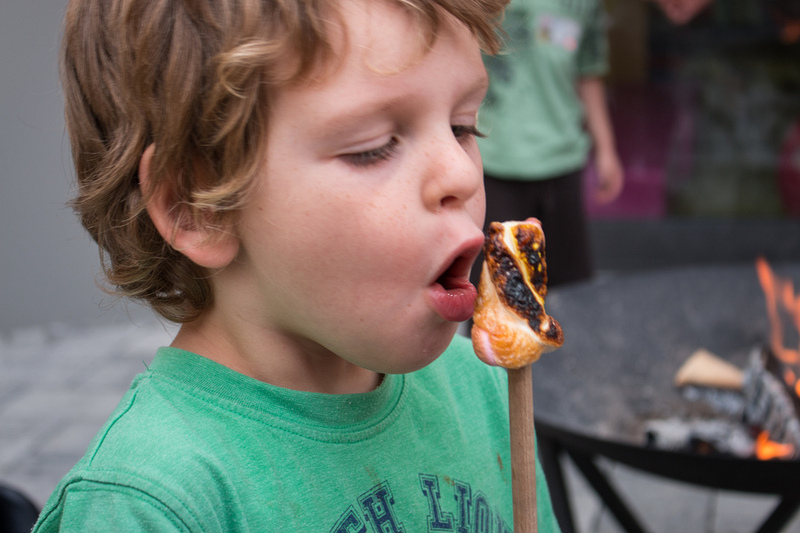 And not to forget campfires in the resort at night roasting marshmallows, having snow fights on top of Rothorn, and biking around the countryside. It’s also a very safe location. During our stay road traffic was minimal, making it very easy to walk around with kids. And crime is virtually non-existent. It’s really got all the conveniences of a first-world country without many of the drawbacks of a first-world country. That would explain why Switzerland’s east is one of our favourite regions anywhere in the world. The pristine picturesque beauty of the area will leave even the most jaded traveller breathless. And waking up to a mountain view with snowy caps is always magical. 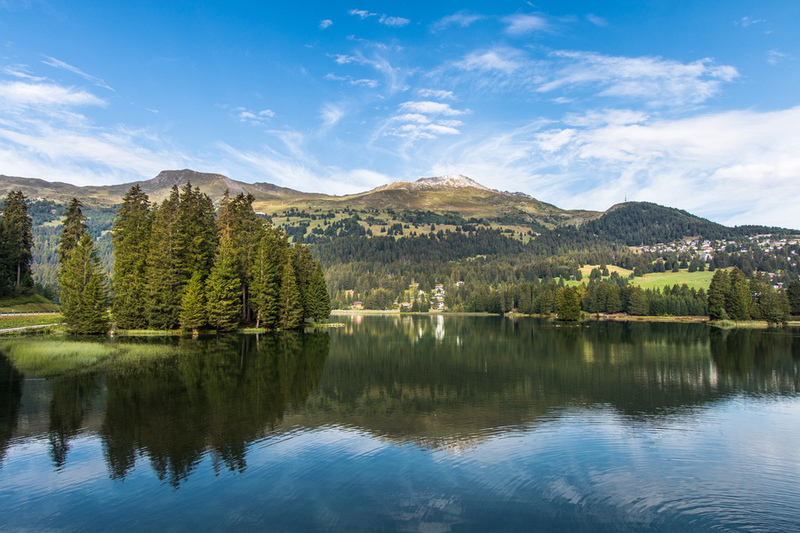 While the secret of Lenzerheide may be better known to the Swiss, more and more international visitors are making their way to this beautiful town. I can now understand why. 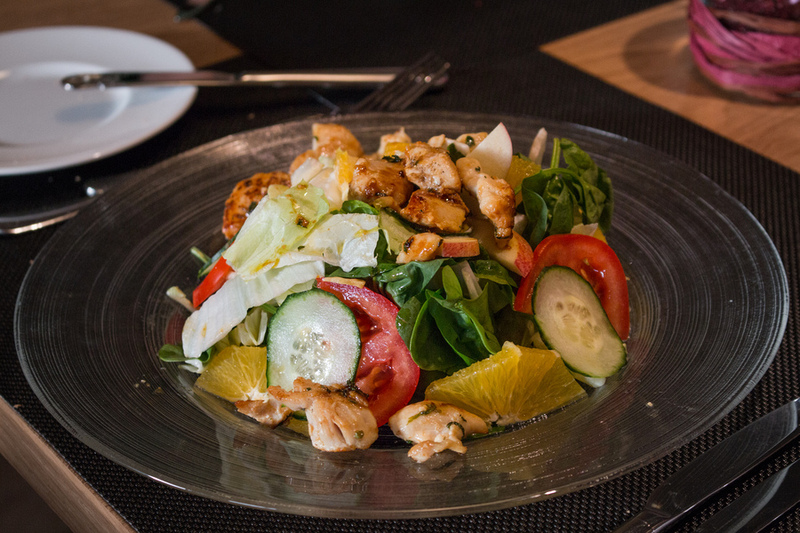 Once you’ve had a taste, the captivating charm of this town will draw you back again and again. And best of all, it’s perfectly suited to both summer and winter. So any time is the best time to go. This is awesome! I agree with the view having a postcard perfection quality to it. It makes me want to go there. Lenzerheide, Switzerland counts on my list.